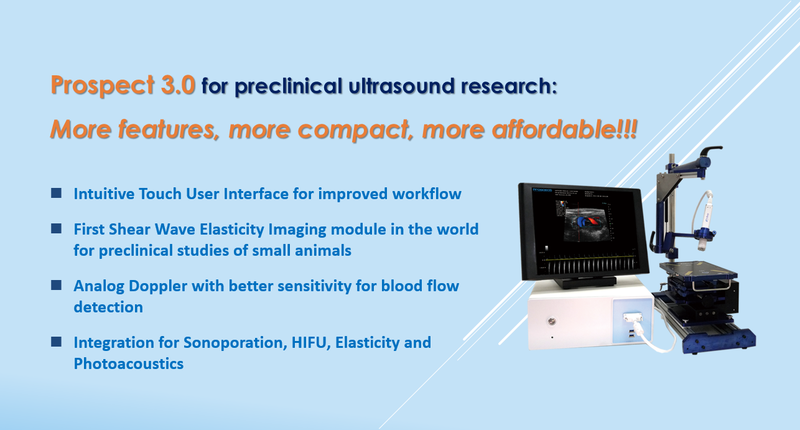 S-Sharp is dedicated to providing cutting edge ultrasound solutions to researchers with many years of experience in ultrasound research and development. 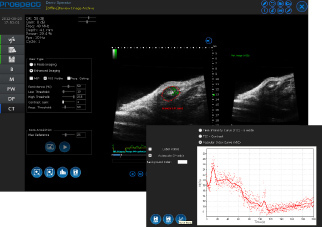 Real-time color Doppler imaging and triplex imaging in update mode (B/PW/Color). Adjustable imaging parameters (center frequency, cycle, PRF, TGC, …etc) for each probe to optimize image quality in different applications. Save static or dynamic data in multiple data formats including raw, jpg, tiff, bmp, DICOM, cineloop (up to 1000 frames) and avi. High Resolution Imaging System provides high spatial resolution up to 30μm, allowing researchers to observe the anatomical structures and hemodynamic functions of small animals, especially mice which weigh only 20~30g and requires at least 10 times higher resolution than clinical ultrasound systems. It’s in vivo, real time and non-invasive to observe and image small animals longitudinally and reduces the sacrifice of precious animal models. Three kinds of Doppler modes are provided: color Doppler mode, power Doppler mode, and Pulsed-wave Doppler mode. 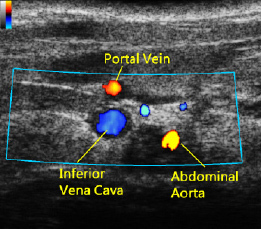 Ultrasound cross-sectional imaging of the mouse portal vein, abdominal aorta, and inferior vena cava in color Doppler mode. 2D gray-level imaging is displayed in real time with the improved lateral resolution using the Virtual Array technology. ECG-triggered, respiration gated imaging is achieved for ultrahigh frame rates. 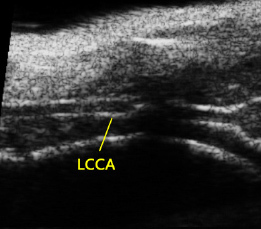 Longitudinal axis view of the left common carotid artery (LCCA) in B mode. 3D image visualization, reconstruction, and volumetric measurements are provided. 3D imaging of breast cancer for volumetric measurements. M mode assesses motion information as a function of time. Dimension changes of the target organ can be analyzed. Wall thickness and cardiac function measurements of the left ventricle (short axis view) in M mode. Microbubble based contrast imaging allows measurements of time-intensity curve(TIC), vascular index curve (VIC) and data export for off-line analysis. Perfusion image of a mouse tumor in the contrast mode.Vascular index curve is also displayed. 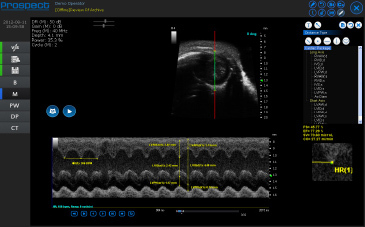 PW Doppler shows blood flow velocity profile as a function of time. The duplex or triplex mode allows the users to identify flow locations and simultaneously conduct quantitative flow measurements. 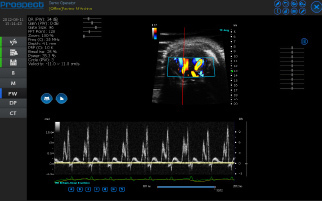 Doppler spectrum of blood flows at the mouse tricuspid in the four chamber view is shown.